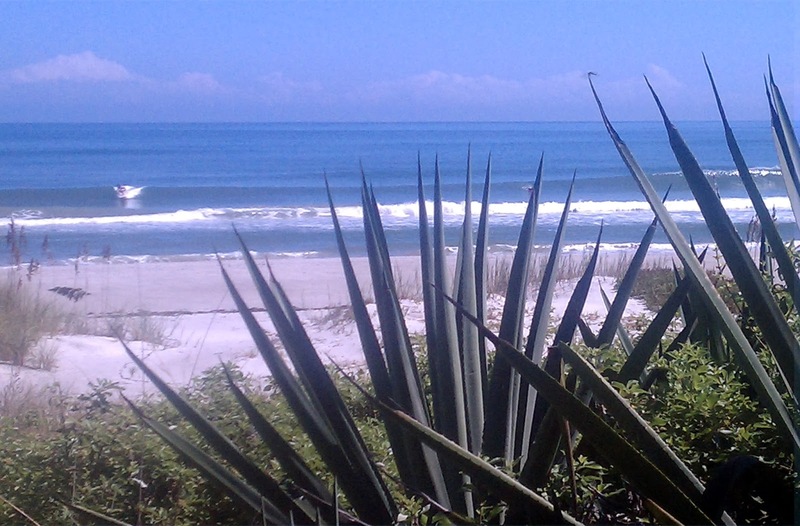 This is one insider's unpolished take on the current state of the Cocoa Beach and Cape Canaveral, Florida real estate market. I am a licensed agent and partner with Walker Bagwell Properties. My sometimes blunt opinions here are not welcomed by the real estate mainstream. Whatever. Hopefully my insights will allow you to make better decisions about your participation in this market. NOTICE: We've had some major email disruptions in the past month and I have not received all mails. If I haven't responded to a recent mail, chances are, yours was one of the lost ones. Please resend to the hotmail address in the header of this blog and I'll respond immediately. What can I believe when looking at real estate listings online? I spoke with someone yesterday who noticed a listing that was previously under contract had just come back on the market at Realtor.com. When I researched the MLS history it showed as still under contract and continuously so since the end of October. So, why did Realtor.com show it as back on the market? The only thing I can figure out is that when the listing agent changed the status from "contingent" to "pending" it triggered a status change which conveniently and incorrectly defaulted to "active/for sale" status rather than "under contract". More page views = more revenue. None of the major non-MLS real estate sites can be trusted to be up to date and accurate. Actually, nor can BrevardMLS.com, but, it is the most accurate by a mile. The errors on BrevardMLS.com are mostly related to agent errors or circumstances, not a policy intended to boost page views. Foreclosure listings often remain active for a few days following acceptance of a contract because the banks are slow to get all the paperwork signed and delivered. Short sale listings are sometimes left in active status for months even though the seller has accepted an offer that is being negotiated with the bank. Sometimes a listing agent will mark the wrong area by accident. AND, some listings marked as "waterfront" may be a looong way from the water. There are two active listings this morning that are designated as "waterfront/ocean" that are over a half mile from the ocean. The condo project that they are a part of extends to the ocean so these listings are allowed to be tagged as oceanfront even though some units are as far as 3/4 mile from the beach. The units here are nice and the prices reflect the distance but the "oceanfront" status is misleading.Your agent can fill you in on the details of any too-good-to-be-true listing. For buyers looking for listings with specific criteria, the best way to be on top of the accurate data is to have your agent set up an auto-alert directly within BrevardMLS.com with whatever criteria you desire. The system will send you an email whenever a new property with your criteria is listed or an existing listing has a price change. The mainstream for-profit real estate sites can't match the timeliness or accuracy of the source. I'd be happy to set up an alert for any readers without one. Do agents lie about multiple offers? - I've written about this before. It seems to be universal among buyers to believe that the listing agent is always lying when she says she's received another offer. People, it just ain't so. It probably has happened somewhere but there is absolutely no need for a listing agent to make up a story about another offer in hopes of getting a slightly higher price. (see next question) The chance of chasing off a distrusting buyer is too great. Buyers, if you receive a call for your best and highest offer because of the existence of another offer, don't shoot yourself in the foot by withdrawing. If you wanted the property enough to place an offer in the first place, at the very least, stick with your original offer. It's your call if you want to sweeten your offer. Do agents try to influence higher price for greater commission? - Not likely ever true. There seems to be a belief that agents, buyer's and seller's, want a higher price in order to get a greater commission. The math proves this one wrong. Even if either or both agents were able to influence a price up by $10,000, each agent's check would increase by a couple of hundred dollars in most cases. Not worth the risk of losing a deal for a couple of Benjamins. Don't both agents work for the seller? - Absolutely not. The seller pays all the commission to their broker in most cases who shares part of it with the selling broker. Even so, as a buyer's agent, I am working solely for my buyer's best interest. The only exception to this would be when the buyer's agent is also the listing agent or when the listing is within the same brokerage as the buyer's agent. This is a persuasive argument for not using a buyer's agent from a company with a lot of listings in the market the buyer has targeted. A buyer's agent showing one of her company's listings is prohibited by law from advocated on behalf of the buyer. She must remain neutral, honest and fair. I, as a buyer's agent from another company, am not so restrained. In fact, I am bound to fight for my client and to use all fair means to get the best possible deal. Remember that when thinking about contacting a listing agent directly. It is rarely in a buyer's best interest to deal directly with the listing agent even if that agent is willing to concede part of the commission. See the next question. Can't buyers get a better deal by dealing with the listing agent? - Not usually. As I explained above, the listing agent can't advocate for the buyer. While she may agree to shave off a percentage point for getting both sides of the deal she is prohibited from telling you, for instance, that your offer is $10,000 more than the seller countered my client last month in his failed attempt to buy the house. Think I'd let you make that too-high offer? Not. Do agents not show buyers all listings? - sometimes. With the public able to view all listings on the internet, a buyer is able to do her own research and to find attractive listings that appear to match her criteria. When her agent doesn't include one that she has found on her own she becomes suspicious that her agent is either slack or deliberately excluding listings. Both may be true. The most likely reason a listing is excluded is that the agent has seen the listing and is aware that the MLS photos are misleading and the property is not what it appears to be online. It's amazing how many of the beautiful ocean view photos in our local listings are not the view from the unit. I get scores of inquiries about amazingly low prices on units with gorgeous open ocean views. What is usually the case is that the view in the listing was shot by Spiderwoman listing agent hanging off the side balcony shooting 90 degrees to the side with a zoom lens to exclude the huge timeshare building next door. As an active market participant here, I know that but to a prospective buyer in Fresno viewing it on awesomecondos.com, it looks like a steal for $199,000. Then there are all those already sold or under-contract listings that still show up as "for sale" on the big real estate websites. There's a reason those websites are slow to remove a sold listing. It's called advertising revenue. Do your searching at BrevardMLS.com. It's the only site you can trust to always be up to date. Do agents show only (or favor) their own company's listings? - It's very unlikely that an agent in our market would show only her company's listings considering the very low inventory right now but I can certainly see an agent favoring her company's listings. Brokers sometimes offer additional incentives for selling an in-house listing. Do listing agents try to get sellers to sell too cheap? - Possibly. A hungry or lazy listing agent might encourage a seller to list too low or to accept a too-low offer in the interest of getting a quicker check. More often than not, an offer the seller thinks is too-low is right in the fair market value range. A good agent will always encourage a seller to accept a fair offer even if the seller thinks it's too low. Sellers almost always expect to get more than their property is worth. Won't "For Sale By Owners" net more money than sellers using a listing agent? - Sometimes, but for reasons one might not expect. A FSBO will not be paying a listing commission although they sometimes are willing to pay a buyer's broker. What is definite is that they are not planning on giving the commission savings to the buyer. They didn't forgo the convenience of having a listing agent in order to give a buyer a better deal. No, sir. The intention is to pocket more money. That same mentality is why so many FSBOs are overpriced. Match those sellers with a buyer enamored with the idea of buying without a Realtor and you have a recipe for an above fair value sale. Buyers, do your homework. It's not about the commission. It's about the final price. If a seller cancels a listing, do they pay a fee? - Sometimes but usually they shouldn't. A listing that requires expensive marketing and effort should carry some sort of cancellation fee to recoup expenses in the event that a seller prematurely ends the listing. Most listings should not carry a cancellation fee. A seller who doesn't like her listing broker should be able in most cases to cancel the listing with no penalty. This is not a popular opinion in the business but it is mine. Make sure you know if your listing contains a cancellation fee before you sign. Are real estate websites a good way to find an agent? - Sorry, no. Agent reviews on all of the big online real estate sites are suspect. They are predominately and suspiciously positive. Beyond the reviews, any agent can throw money at these sites and establish a big presence. Big online presence does not guarantee competence or performance. This is doubly true for an agent's own website. If you're looking for an agent to represent you as a buyer or to list your property, talk to a few. Lacking a recommendation from someone you know, your gut perception is your best tool for selecting an agent to represent you. A little skepticism will serve well. We're not all crooks regardless of public perception. Side view and partial ocean view units have been selling mostly in a range from $150 to $205 per square foot with the average at $170/sf. The higher range has been represented by units in buildings in good repair and/or remodeled interiors. Side ocean view units bringing above the average were in buildings including Artesia, Stonewood, Windward East, Royale Towers and Sandcastles. Direct ocean units above the ground floor with unobstructed views have sold in a range of $196 to $281 per square foot with an average of $235 per foot. I did not include in the average the two highest sales at the Meridian which sold for $313 per square foot and the low which was a 1/1 at Triton Arms downtown Cocoa Beach with no garage that closed for $172 a foot. Like the side view units, units in well-maintained and/or newer buildings commanded the higher end of the range. Those included Michelina, Meridian and Solana Shores. These averages and ranges are a good starting point for trying to put a fair value on a unit but they can't be definitive because of the many variables among the sold units. For those looking to buy or sell, it makes sense to be realistic about all the conditions affecting valuation. An otherwise identical unit that is not remodeled can't be expected to fetch the same price as the neighbor's remodeled unit. Garages, contents, age of appliances and AC systems, quality of view, existence of shutters, etc. all affect value and should be taken into consideration. For units yet to be sold/purchased, there are constants, however. In almost all instances, sellers will expect their unit to command top of the range or beyond regardless of condition. This is especially true at present as prices have been moving up. Buyers on the other hand will be seeking to pay at the bottom end of the range or below, again, regardless of condition. When offering, including well-researched comparable sales with adjustments for variables, will go a long way towards bridging the gap between the opposing desires. Throwing a lowball offer without good justification is a waste of time. Likewise, a listing asking 20% above recent comparable sales better have some believable rationale if they expect to sell. If you're buying or selling, do your homework and be prepared to prove the case for your number. The comps are available for everyone. As I've said before, the Property Appraiser's and Zillow's estimates of value are not to be take seriously. Somehow, even with our depleted inventory and abundance of unrealistic sellers, 50 condos and townhomes closed in the month of October in Cocoa Beach and Cape Canaveral. There are 282 units for sale this morning with 9% of the total distressed (short or foreclosed). We look to easily exceed last year's record sales of 612 units making 2013 the biggest year for number of sales since 2005. I'm not sure what next year will bring but I think it's safe to say that prices will be higher and inventory will continue to be in short supply. New mortgage rules and flood insurance uncertainty will both impact buyers hoping to finance a purchase. Cash will almost certainly continue to dominate the closed sales. I am happy to answer questions or offer assistance to anyone with needs or questions about the Cocoa Beach real estate market. If you need an agent in Cocoa Beach or Cape Canaveral, I'm your man. Backup. What is it Good For? Positive Cash Flow - Does It Exist?